There are currently 34 New Ocean View Delaware Single Family Homes for sale. 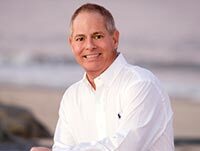 We are your Ocean View Delaware real estate specialist offering ALL New Single Family Home sales Ocean View Delaware Real Estate For Sale. New section being Main Street Homes at Bay Forest at Bethany Beach. Enjoy resort style living in established, award winning community w/top of the line amenities. Cottage style homes with superior craftsmanship & opportunity to customize. Open floor plan with 1st floor master plus 2nd level family room with 3 additional bedrooms. 2 car garage. This lot can accommodate wraparound porch option. Monthly fees includes all community amenities, irrigation, and lawn care. New section being Main Street Homes at Bay Forest at Bethany Beach. Enjoy resort style living in established, award winning Natelli community w/top of the line amenities. DRY BAR w/CABINET & BEVERAGE REFRIGERATOR OPTION INCLUDED for contract written by May 15, 2019!! Cottage style homes with superior craftsmanship & opportunity to customize. Open floor plan with 1st floor master plus 2nd level family room with 3 additional bedrooms. 2 car garage. Monthly fees includes all community amenities, irrigation, and lawn care. Available Now! This 2,944 sqft Whimbrel model has just been built with extensive options and is ready for an immediate buyer. The first floor offers a beautiful master suite with luxury bath and walk-in closets, two guest bedrooms and full bath plus a study with french doors. The gourmet kitchen is open to the great room and offers granite countertops, stainless appliances, farmhouse sink, wall oven, subway tile backsplash, breakfast bar, island, and pantry. Additional options were added to enhance the living space including vaulted ceilings with exposed beams, a gas fireplace, and a 2ft full rear extension. The second floor was added to include a finished bonus room plus additional bedroom and full bath. 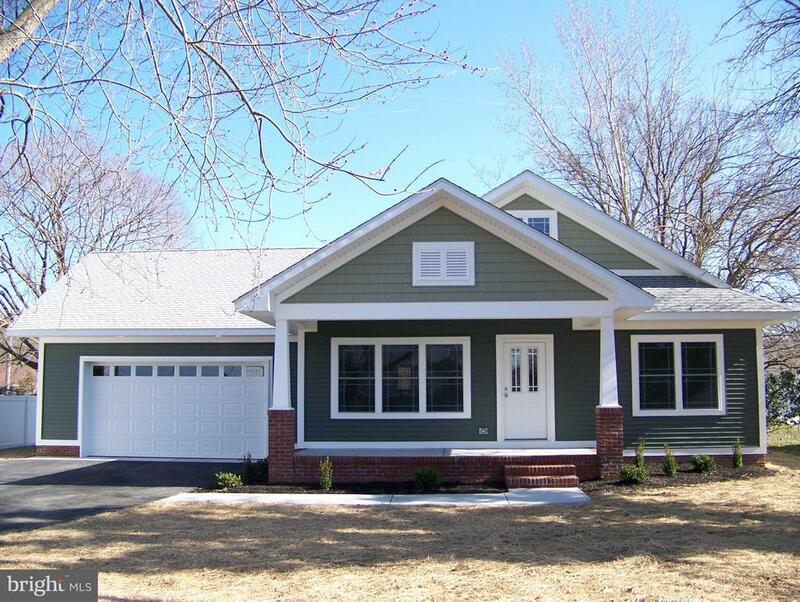 The home has been custom painted throughout and offers SOLAR! Located just 3.5 miles to downtown Bethany, this community offers water access to White Creek, an outdoor pool, tiki bar, grilling patio, and a beach out on the point. Huge savings on this home of $39,879! Photos and tour are of a similar model. On-site unlicensed sales people represent the seller only. Soon 50 coastal-style homes will be joining the Bethany Beach landscape at our newest beach community, Tidal Walk. Built in the style and spirit of the beach, these homes share a unifying coastal charm while maintaining a uniqueness all their own. With so many award-winning home options, there has never been a better time to begin your next chapter at sea. As the bird flies, Tidal walk is less than one mile to the beach, and by car its and easy five minute drive from the sandy shore, shops, and dining. Now is the time to dive in and discover Evergreene's newest collection of coastal homes today. This spacious home makes it easy for owners to enjoy a beach lifestyle. With bright open living areas, enough bedrooms for the whole family, and a functional flex space, there is no weekend getaway, family reunion, or stay-cation that this home can~t accommodate. Risen high on pilings, the Egret delivers an enormous 2-car garage with ample storage space and a private outdoor shower on the ground level. Up on the main level, Evergreene~s wide selection of interior finishes make each living space a reflection of your own personal style. With added bedrooms and a versatile loft area on the top floor, the whole family can enjoy a relaxing visit to the beach. Soon 50 coastal-style homes will be joining the Bethany Beach landscape at our newest beach community, Tidal Walk. Built in the style and spirit of the beach, these homes share a unifying coastal charm while maintaining a uniqueness all their own. With so many award-winning home options, there has never been a better time to begin your next chapter at sea. As the bird flies, Tidal walk is less than one mile to the beach, and by car its and easy five minute drive from the sandy shore, shops, and dining. Now is the time to dive in and discover Evergreene's newest collection of coastal homes today. This spacious home makes it easy for owners to enjoy a beach lifestyle. With bright open living areas, enough bedrooms for the whole family, and a functional flex space, there is no weekend getaway, family reunion, or stay-cation that this home can't accommodate. The beach looks better from the Turnstone~s point of view. Elevated on pilings, this home embodies the spirit of the beach with a spacious 2-car garage, ample storage, and an outdoor shower on the ground level. Up on the main level, owners will enjoy bright open-concept living areas featuring stunning interior selections and finishes, a sprawling master~s suite, and one-level living at it~s best. The Catalina floor plan starts at 3,720 sqft with the option to expand up to 4,200 sqft. With 4-6 bedrooms in this 3-story home, there is room for the whole family! The main living space is located on the second floor along with a master suite, tech nook, and half bath. A functional, open floor plan makes entertaining easy! Included in the kitchen are granite countertops, stainless appliances, a pantry, an island, and a breakfast bar with seating for 4. The third floor offers another master suite, 2 guest bedrooms, a full guest bath, and laundry room. Elevator is optional. Located just 3.5 miles to downtown Bethany, this community offers water access to White Creek, an outdoor pool, tiki bar, grilling patio, and a beach out on the point. Current incentives are $15K off the base price. Seller will split the 4% transfer tax with the Buyer. On-site unlicensed sales people represent the seller only. The Shearwater floor plan starts at 3,020 sqft with the option to expand up to 6,142 sqft. With 3-6 bedrooms in this 2-story home, there is room for the whole family! The master suite is located on the first floor along with a flex room, laundry room, and half bath. A functional, open floor plan makes entertaining easy! Included in the kitchen are granite countertops, stainless appliances, a pantry, an island and a breakfast bar with seating for 6. The second floor offers 2 guest bedrooms, a full bath, loft, tech nook, and a huge unfinished storage space. Located just 3.5 miles to downtown Bethany, this community offers water access to White Creek, an outdoor pool, tiki bar, grilling patio, and a beach out on the point. Current incentives are $15K off the base price. Seller will split the 4% transfer tax with the Buyer. On-site unlicensed sales people represent the seller only. The Cassidy floor plan starts at 2,528 sqft with the option to expand up to 5,893 sqft. With 4-6 bedrooms and 1-2 floors, there is room for the whole family! The master suite is located on the first floor along with 3 guest bedrooms, a laundry room, and a storage room. A functional, open floor plan makes entertaining easy! Included in the kitchen are granite countertops, stainless appliances, a pantry, and an island with seating for 6. Located just 3.5 miles to downtown Bethany, this community offers water access to White Creek, an outdoor pool, tiki bar, grilling patio, and a beach out on the point. Current incentives are $15K off the base price. Seller will split the 4% transfer tax with the Buyer. On-site unlicensed sales people represent the seller only. The Lilac floor plan starts at 2,431 sqft with the option to expand up to 4,820 sqft. With 4-7 bedrooms in this 2-story home, there is room for the whole family! The master suite is located on the first floor along with a flex room, laundry room and half bath. A functional, open floor plan makes entertaining easy! Included in the kitchen are granite countertops, stainless appliances, a pantry, and an island with seating for 4. The second floor offers 3 guest bedrooms, a full bath, loft, and a huge unfinished storage space. Located just 3.5 miles to downtown Bethany, this community offers water access to White Creek, an outdoor pool, tiki bar, grilling patio, and a beach out on the point. Current incentives are $15K off the base price. Seller will split the 4% transfer tax with the Buyer. On-site unlicensed sales people represent the seller only. The Jasmine floor plan starts at 2,299 sqft with the option to expand up to 4,623 sqft. With 3-5 bedrooms in this 2-story home, there is room for the whole family! The master suite is located on the first floor along with a laundry room and half bath. A functional, open floor plan makes entertaining easy! Included in the kitchen are granite countertops, stainless appliances, a pantry, and an island with seating for 4. The second floor offers 2 guest bedrooms, a full bath, loft, and tech nook. Located just 3.5 miles to downtown Bethany, this community offers water access to White Creek, an outdoor pool, tiki bar, grilling patio, and a beach out on the point. Current incentives are $15K off the base price. Seller will split the 4% transfer tax with the Buyer. On-site unlicensed sales people represent the seller only. The Iris floor plan starts at 2,054 sqft with the option to expand up to 4,579 sqft. With 3-6 bedrooms in this 2-story home, there is room for the whole family! The master suite is located on the first floor with a huge walk-in closet along with a flex room, laundry room, and half bath. A functional, open floor plan makes entertaining easy! Included in the kitchen are granite countertops, stainless appliances, a pantry, and an island with seating for 5. Located just 3.5 miles to downtown Bethany, this community offers water access to White Creek, an outdoor pool, tiki bar, grilling patio, and a beach out on the point. Current incentives are $15K off the base price. Seller will split the 4% transfer tax with the Buyer. On-site unlicensed sales people represent the seller only. The Heron floor plan starts at 2,172 sqft with the option to expand up to 4,175 sqft. With 3-5 bedrooms in this 2-story home, there is room for the whole family! The master suite is located on the first floor along with a flex room, laundry room, storage room, and half bath. A functional, open floor plan makes entertaining easy! Included in the kitchen are granite countertops, stainless appliances, a pantry, and an island with seating for 4. Located just 3.5 miles to downtown Bethany, this community offers water access to White Creek, an outdoor pool, tiki bar, grilling patio, and a beach out on the point. Current incentives are $15K off the base price. Seller will split the 4% transfer tax with the Buyer. On-site unlicensed sales people represent the seller only. The Bluebell floor plan starts at 1,785 sqft with the option to expand up to 4,603 sqft. With 3-4 bedrooms and 1-2 floors, there is room for the whole family! The master suite is located on the first floor along with 2 guest bedrooms and a full bath. A functional, open floor plan makes entertaining easy! Included in the kitchen are granite countertops, stainless appliances, a pantry, and a breakfast bar with seating for 4. Located just 3.5 miles to downtown Bethany, this community offers water access to White Creek, an outdoor pool, tiki bar, grilling patio, and a beach out on the point. Current incentives are $15K off the base price. Seller will split the 4% transfer tax with the Buyer. On-site unlicensed sales people represent the seller only. The Whimbrel floor plan starts at 1,971 sqft with the option to expand up to 5,204 sqft. With 3-6 bedrooms and 1-2 floors, there is room for the whole family! The master suite is located on the first floor along with 2 guest bedrooms, a flex room and a full bath. A functional, open floor plan makes entertaining easy! Included in the kitchen are granite countertops, stainless appliances, a pantry, an island and a breakfast bar with seating for 4. Located just 3.5 miles to downtown Bethany, this community offers water access to White Creek, an outdoor pool, tiki bar, grilling patio, and a beach out on the point. Current incentives are $15K off the base price. Seller will split the 4% transfer tax with the Buyer. On-site unlicensed sales people represent the seller only. 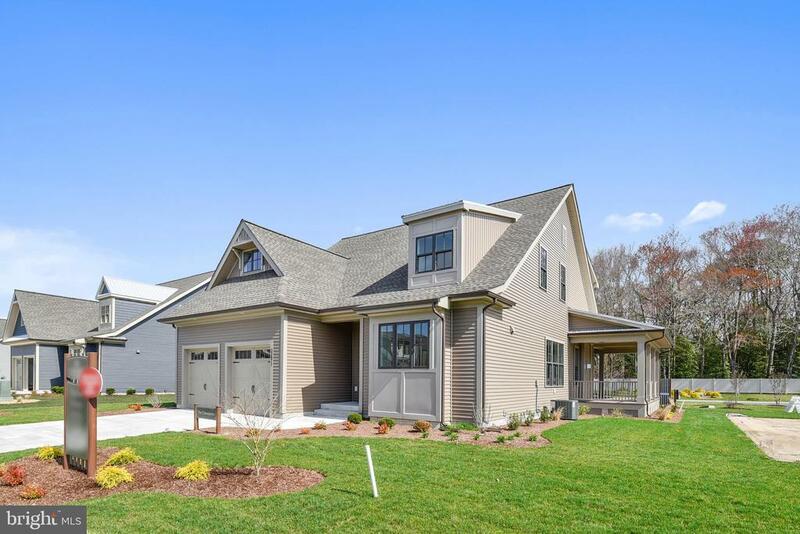 The Newport floor plan starts at 1,662 sqft with the option to expand up to 2,391 sqft. With 3-4 bedrooms and 1-2 floors, there is room for the whole family! The master suite is located on the first floor along with 2 guest bedrooms and a full bath. A functional, open floor plan makes entertaining easy! Included in the kitchen are granite countertops, stainless appliances, a pantry, an island and a breakfast bar with seating for 5. Located just 3.5 miles to downtown Bethany, this community offers water access to White Creek, an outdoor pool, tiki bar, grilling patio, and a beach out on the point. Current incentives are $15K off the base price. Seller will split the 4% transfer tax with the Buyer. On-site unlicensed sales people represent the seller only. The Orchid floor plan starts at 1,567 sqft with the option to expand up to 2,895 sqft. With 3-4 bedrooms and 1-2 floors, there is room for the whole family! The master suite is located on the first floor along with 2 guest bedrooms and a full bath. A functional, open floor plan makes entertaining easy! Included in the kitchen are granite countertops, stainless appliances, a pantry and an island with seating for 4. Located just 3.5 miles to downtown Bethany, this community offers water access to White Creek, an outdoor pool, tiki bar, grilling patio, and a beach out on the point. Current incentives are $15K off the base price. Seller will split the 4% transfer tax with the Buyer. On-site unlicensed sales people represent the seller only. The Montauk floor plan starts at 1,661 sqft with the option to expand up to 4,104 sqft. With 3-5 bedrooms and 1-2 floors, there is room for the whole family! The master suite is located on the first floor along with 2 guest bedrooms and a full bath. A functional, open floor plan makes entertaining easy! Included in the kitchen are granite countertops, stainless appliances, a pantry and an island with seating for 5. Located just 3.5 miles to downtown Bethany, this community offers water access to White Creek, an outdoor pool, tiki bar, grilling patio, and a beach out on the point. Current incentives are $15K off the base price. Seller will split the 4% transfer tax with the Buyer. On-site unlicensed sales people represent the seller only. Silver Woods offers a great community with a variety of floor plans, less than 4 miles to Bethany Beach! Features community pool and walking trails. The Bramante will make you so glad you~re home. The foyer welcomes you in, past a large bedroom and a coenient arrival center off the garage. The kitchen is a gourmet dream with plenty of counter and cabinet space, and an oversized island that~s perfect for prep work and casual dining. It~s open to the dinette and family room so you never miss a minute. Off of the dinette, a covered porch fills your home with light and brings the outdoors in. Tucked off the great room, nearby but still private, a luxurious owner~s suite beckons. The standard tray ceiling adds a touch of elegance while the double bowl vanity and huge shower create a spa-like feel. The gigantic closet means storage will never be an issue!An extra bedroom rounds out the first floor, along with the option to turn one of the bedrooms into a flex room with glass doors. No matter what you choose, the Bramante comes in a variety of facades, all with covered entrances. Please note: onsite salesperson represents the builder. Start enjoying life in Silver Woods community in Ocean View - offering walking trails, community pool and a great location less than 4 miles to the beach in Bethany! Many new construction floor plans to choose from, and lawn maintenance is included for additional peace of mind! A ranch-style house, the Pisa Torre features a split-bedroom plan and 1407 square feet of living space. The Foyer features a large coat closet, with Bedrooms 2 and 3 to your left. Through the house is the great room with optional fireplace, open to the dining area and with a breakfast bar into the kitchen. Add the morning room for more light and area for entertaining. The owner~s bath has a large shower as standard, or get the upgrade Roman shower. The Pisa Torre has several traditional, classic elevations and cottage available. The selections currently include the Barrington III palate which offers white cabinetry, stainless steel appliances, granite countertops, and luxury vinyl plank flooring! $5000 additional incentive available if you select R Mortgage or pay cash. Please note: Onsite salespeople represent the builder.